We’d love your help. 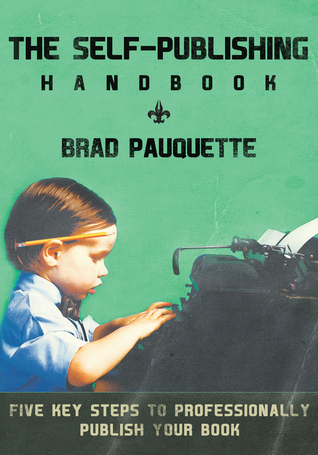 Let us know what’s wrong with this preview of The Self-Publishing Handbook by Brad Pauquette. When it comes to self-publishing your book, there are some corners you can cut, and some you can't. The Self-Publishing Handbook is a compact guide to producing an excellent book. With these instructions you will eliminate the fluff and waste of traditional publishers but retain the time-tested processes that produce great books. The traditional publishing industry universa When it comes to self-publishing your book, there are some corners you can cut, and some you can't. The Self-Publishing Handbook is a compact guide to producing an excellent book. With these instructions you will eliminate the fluff and waste of traditional publishers but retain the time-tested processes that produce great books. The traditional publishing industry universally agrees on five steps every published book must undergo to improve quality and profitability. As a self-publisher, you can replicate these five key steps to produce a top-quality book that will compete with its traditionally published counterparts. This manual includes helpful tips for hiring professionals to assist with your book production, as well as insight and common sense rules for the do-it-yourself self-publisher. Armed with this information, you'll be in a position to distinguish worthwhile professional services from scams. To ask other readers questions about The Self-Publishing Handbook, please sign up. Full of valuable tips, and crafted with a logical, step-by-step format 'The Self-Publishing Handbook: Five Key Steps to Professionally Publish Your Book' breaks the self-publishing process down into five sections. It doesn't go off in the weeds like a lot of these guides do, but sticks to the basics. That said, the guide doesn't insult a writer's intelligence, either, but offers advice that every author must have before engaging the current book writing/marketing/promotional trade. The guide covers such important fare as the acquisition of ASIN numbers, ISBNs, LCCNs, ASINs etc. It addresses formatting, and the speed bumps that authors of E-books find going from one platform to another. One area Pauquette's guide covers better than most, the business side of scribbling and selling books in the current environment. Yes, writing is a business, regardless of an author's belief in their (our) own lofty purposes in writing. The Self-Publishing Handbook tells it like it is; there's no hype or false pretense about the literary marketplace, but good, solid numbers any author must be familiar with regardless of their expectations. It covers costs, timelines, discounting, types of sales and their expected (projected?) outcomes. Unless one's name happens to be Grisham, Gladwell or Gillian Flynn, lowered expectations are a good thing among self-pubbed authors, and the guide states that out front. Read the numbers, and go from there. That said, I would like to have seen a bit more about the artistic, right-brain part of the writer's craft, a nod to the creative vapors that every author breathes. Why do people write? What is Pauquette's experience working with writers? What are his projections about the industry? And what should authors expect of publishers, and publisher's of an author? For example, should a designer offer to read 25% or the first fifty pages of a book prior to creating cover art? Who does what, and for how long? What do a lot of self-pubbed authors take for granted that they should not? 'The Self-Publishing Handbook: Five Key Steps to Professionally Publish Your Book' is a handy, well crafted roadmap about getting your own self-published book out there and avoiding a lot of the headaches that other authors encounter. Very informative. I would recommend this book to anyone considering self-publishing. It gets down to the nitty gritty. A good, quick, and informative read for a lazy Saturday afternoon. The book reinforced a couple of things I knew but gave insight to things I would not have thought about. The author will occasionally give information about using his company in the publishing process but not shoving down your throat. A great thing he does (in my view) is explaining the money saving steps while explaining the consequences it you go too extreme. Very informative book that delves into the world of self publishing. Its a quick, easy read that gives authors everything they need to have their books on the shelves! Definitely worth the read. Brad Pauquette is a writer and entrepreneur living in Zanesville, Ohio. On September 1, 2018, he took a full-time role developing the School of Kingdom Writers, a non-profit school for individuals called to use creative writing as a ministry. He is the president and founder of the Ohio Writers’ Association, which provides resources for professional writers and emerging authors. He is also the owner Brad Pauquette is a writer and entrepreneur living in Zanesville, Ohio. On September 1, 2018, he took a full-time role developing the School of Kingdom Writers, a non-profit school for individuals called to use creative writing as a ministry. He is the president and founder of the Ohio Writers’ Association, which provides resources for professional writers and emerging authors. He is also the owner of Columbus Press, an independent publisher. Brad lives on an all-natural hobby farm in Zanesville, Ohio with his wife and four children.